Day 3 of the 2nd annual 12 Days of Christmas Giveaways on The Artful Parent features OOLY! They are giving away a package of writing & art supplies for children valued at $100. Welcome to Day 3 of 12 Days of Christmas Giveaways on The Artful Parent! Today we turn it over to OOLY who will tell you more about their company and offer you the chance to win an awesome package of craft kits and art supplies. Note: To see the full line up of giveaways and to enter others, see my 12 Days of Christmas Giveaways. Each day of this giveaway series you’ll have a chance to enter to win some great gifts for your kids and products for your family. *A big thank you to OOLY for sponsoring and writing this blog post. OOLY lets makers and creators of all ages, embrace their creativity and individuality through their range of art stationery, gifts and crafting products. Helping them make their world (and the world around them) a brighter, more colorful and happier place because only OOLY has the colorful and fun products that inspire the imagination. We believe that everyone deserves the opportunity and the tools to express their creativity. We love to support underserved communities; teachers, students and programs that encourage creativity. On a national level we work with AdoptAClassroom. They empower teachers by providing the supplies and materials needed to help their students learn and succeed. OOLY provides art, craft, writing, and other supplies to create your happy: colorful pencils, gel pens, markers, paints, crayons, erasers, stationery, and more! Whether you are looking for creative products or gifts for the budding artist, teachers, students or that organizer planner; OOLY will Create Your Happy! The holidays are a perfect time of year for giving the gift of creativity. Whatever you need to be inspired or to inspire others, OOLY has imagined it all–in vibrant color palettes and fun OOLY themes. Enter to win a package of OOLY art supplies, including paint sticks, a scratch art kit, gel crayons, sketchbooks and more – valued at $100! Chunkies Variety Pack: Chunkies Paint Sticks lets you create in 24 bold colors. These chunky paint sticks are easy for small hands to grip and dry quickly for no mess! Scratch And Scribble Scratch Art Kit – Space Dogs: A new take on creativity, these scratch and scribble cards are completely black at first. But scratch away, and you’ll reveal a fun hidden design in no time. Or design your own! Sakox Rainbow Scented Pen – Snow Cone: Doodling and scribbling couldn’t be more fun with this rainbow pom pom topped pen from Sakox. Enjoy the Snow Cone scent while writing away with smooth writing black ink. Sketch And Color Colored Pencil Set: Every color of the rainbow and then some can be found in this sketch and color pencil and sharpener set. A serious set for some serious fun, these pencils will help you pack all your creative endeavors full of vibrant color. Lil’ Watercolor Paint Pods: Watercolor paint doesn’t have to stop with just eight simple colors. Try 36 on for size with this set of colorful and inspiring hues, from soft blushes to deep violets. Paintbrush included! Rainy Dayz Gel Crayons: Draw on any glass or mirrors and even paper too with Rainy Dayz gel crayons. They wash right off windows & glass when you’re through. And they are packed in a handy travel case. Yummy Yummy Scented Glitter Gel Pens: These pens have it all! Smooth gel ink with studded sparkling glitter and finished off with 12 fruity scents. Adventurous Pets Doodle Pad Duo Sketchbooks: Looking for a little inspiration for your next doodle? Space Pet Explorers and Underwater Adventurers will entertain and delight while you create with the blank pages inside. To enter this giveaway, leave a comment below AND enter with the Rafflecopter widget. Must be in the U.S. or Canada to enter. Giveaway closes December 9th at 11:59 pm EST. Rachel is the Editorial Coordinator at The Artful Parent. She is passionate about engaging with kids through art, whether at toddler art group or teaching photography at a local elementary school. There’s nothing quite like the excitement of making art side-by-side with students as they explore and create.Rachel lives in Portland, Maine, and loves going on adventures with her family. As a mother of two young kids, she is excited to explore how nature, art, and play combine in a child’s learning and development. Creating art with her son William and hosting a toddler art group are current highlights. I love the window markers! These supplies look so fun. My kids would love them! Paint sticks are high on my daughters wish list. We have those tempera paint sticks. I loved the idea…. but tbh, i haven’t figured out whats the best way to use them! The giant coloring pages or the big color in cardboard houses! I love the gel crayons. The gel crayons sound like fun. I think my daughter would enjoy these art supplies. Those paint sticks have been on my wishlist for years! As a parent and as a teacher I would be delighted to receive these. We have and LOVE Chunkies! Love the glitter gel pens and watercolors. I know my daughter would have endless fun with these. My daughters would love these. Thank you. Always wanted to try the paint sticks! And the gel crayons look really fun. My daughter is crazy for gel pens – she would adore scented ones! This would be an amzing way to add a little sunshine on winter days! This looks great for my daughter who is always drawing! Snow cone scented art supplies – my kid would go crazy! So cool!!! Love your blog! My kiddos would love this set as a Christmas gift! So much fun!!! What a great set of art supplies! My daughters would love ALL of these! My kids would love the gel cxrayons! My daughters love their chunkies! But they have been asking for ‘nicer crayons’ this year, so gel crayons are on the list! Who knew there were so many different types of crayons???!!! It is cloudy, gray, and foggy here today. These colors are so bright and cheerful! These art supplies would make kids in my life so happy! My daughter loves their paint sticks! Thank you for the opportunity! My daughter would love this set! I love colorful art supplies! My students would LOVE using these art supplies to enhance their projects! Paint sticks are amazing to have for kids, and the scratch and scribbles are so fun! We are raising our two small grandbabies and we do art frequently to find our center and get back to our happy place! They LOVE art projects and they especially enjoy new art supplies!! Thank you for focusing on all the littles in our world. Been wanting to try those chunkies paint stix! Both of my kids would love these art supplies! These would make great stocking stuffers! My girls would love the scented gel pens! These supplies look super FUN!!! Oh my gosh! So many wonderful products! My girl loves the paint sticks!!!! I’d love to win this for my sons class. Good luck everyone. What a wonderful selection of art supplies- sure to inspire! Awesome price! Thanks fir sharing all the wonderful art ideas. I love the paint sticks! These would be awesome to build up our art supply! My kids (and I) love new supplies! This looks like a lot of fun! The kids would love it! Oh I love these! My daughter would so enjoy something new to create with! Thank you for the chance. These supplies look wonderful! Going to check OOLY out! My art-loving boys would love this! These would be such an awesome gift for my kids! My daughter’s watercolour set is running low and my son would love the chunky paint sticks! So cool! Paint Sticks!!!!!!!! We’ve just discovered these and LOVE LOVE LOVE them!!! The colors of these are so pretty! My son loves to do scratch art! My kids do art daily and would definitely put all of these products to good use. We are already big fans of Ooly! I’ve never heard of Ooly before but these products look amazing! Would love to win these for my kids. We LOVE their art supplies. The quality and color saturation is so great they are the only ones we buy! My girls would be thrilled. The chunkies look very fun. My daughter would love the gel pens! She tried some for the first time the other day at an art class and loved them! What a fantastic gift to facilitate art projects for kids. The window markers are so good. We have big sliding glass doors and they make a great reusable canvas. Thanks for the give away and the chance to win. We need an art supply refresh. Would love to try Ooly! The watercolors are always a big hit with my kids. I love using them to paint on ice and snow! So many choices beyond regular markers and crayons. They all look fun for my kids… and me!! I could see me and my grandkids using all of these. In fact I might just go out and get a few –thanks! My class loved the water colors. “Doing art” is my sons favorite activity. Always looking for new quality supplies! My little artist would love these! My kids love gel crayons! What a fun set of supplies! The kids are going to enjoy this! I would love to win this. You can never have enough art supplies! So fun! My kids would love these art supplies. There are some fun ones they haven’t used before. Love the snow cone pen and scented gel pens! My daughter would love this! Thanks for the contest! My girls would love this set of art supplies! Wonderful collection of art supplies! We love Ooly! They make such beautiful art supplies. My daughter has loved everything of theirs that we’ve used. Those scented glitter pens would keep her busy for hours! Amazing prize opportunity! Kids would adore this so much!!!! My daughter loves to color. I think she would really enjoy the paint sticks! Would love to win this for my granddaughters! I would love to win this wonderful gift for my grandsons. We love to have creative time and these products look like so much fun. Thank you for the chance to win this prize. My little artist would definitely put all of these to use! Paint sticks so there’s less paint mess to clean up would be so great!! These products look AMAZING! I would love to give them a try ❤️! This is the second time I saw something about gel crayons this week. I don’t think I’ve heard of them until now. My family would love those watercolors!! Thank you for the amazing giveaway! I know my pre-k daughter would LOVE this prize pack! This would be well loved at our house. Such a fun kit! This prize would keep my granddaughter busy for months! These are so great. I know t girls would love everything from their line up! We love Ooly! So excited for this giveaway! So much fun! What great supplies. I really want to try those gel crayons, they look awesome! I’ve heard amazing things about the gel crayons. I look forward to trying them out! We love OOLY! :-) My grandson loves the watercolor pods and my granddaughter and I love the gel pens! We would love these in our home! These look amazing! My boys would love them in their art cart. My daughters live for art supplies! I would love to see what they could do with this variety! we love art supplies and have yet to try the gel crayons. Thanks for the chance! Those paint sticks look fun! So colorful. I love these. My daughters would love these supplies. I had never seen the gel crayons before. My children would love creating with these amazing and fun supplies! I would definitely love to spend some time crafting with them and creating beautiful art. My daughter would love this!! Arts & crafts are her favorite thing to do! This would be awesome to win for her! What a great giveaway for the creative little minds to play with! My daughters would love these art supplies!! We will definitely check out other Ooly products this holiday! These look like so much fun! Fingers crossed!!!! Art in our house is LIFE!!!!! Window markers :)…. let the creativity begin. Thank you. Window markers make everything cheery! Thank You! Oh, I love all the pretty colors! My daughter is a little artist and would definitely love this! The paint sticks look like fun! Such fun art supplies! Would love to try the paint sticks. We use these window markers at our house and we love them. This set would be a great addition to my daughter’s art table! My kids would faint with joy. I’m surprised we haven’t tried these products yet, but several are making it on my wishlist! The gel crayons are so fun! We would love to try the gel crayons. OOLY products are always a hit in our house! Cool giveaway, thanks for doing it! I really like those gel crayons. They look fun! These would be great for my kids! My little artists would love creating with these! Those gel crayons look so cool! So many great supplies! Thanks! So many beautiful colors ! My kids attend an arts integrated school and they enjoy arts! They would love this! These products would be much used in my house. I’d love for my kids to try these out. What a great gift set for Christmas! Art supplies make fantastic holiday gifts around here – and these are gorgeously delightful! Oh my! What lovely art supplies! I think the paint stix would be a huge hit here! These look like a ton of fun! This looks like a young artist’s dream come true! Art supplies! Thanks for the opportunity! I think my daughter would love the snow cone scented pen. It’s neat that they have scented products! Such an amazing array of things! I’d love to test these all for my classroom! My daughter uses paint sticks everyday! She loves them – need to stock back up! Very excited about the rainbow scratch paper as well! And this would be my daughter’s favorite gift by far. Art supplies for the win! The 36 color paint pallet looks so inviting as do all the other rainbow colored art supplies! Thanks for giving us a chance at winning this! What a wonderful assortment of prizes! It is important to create art. Wonderful supplies! My girls would love these! What a fun selection of products. All of these products look super awesome! The Rainy Dayz gel crayons look awesome! Love ALL these products and wish we had them all. Never heard of Ooly. Excited to explore their stuff. The social mission is s huge plus. We love Ooly! Paint sticks are the absolute most fun for my younger kids. Thank you! Window markers would be a huge hit! This would be a huge hit with my kid. Never tried this brand! Need to look them up! Art is a constant in our home. Dad graduated with a degree in Fine Arts, then didn’t touch a paintbrush for almost 20 years! He’s just gotten back into it and our kids are thrilled to see him create again! They’re inspired everyday! My daughters would go crazy over these art supplies. I won’t lie, I’ll go crazy over them too!! I have three little artists at my house who would so enjoy some new supplies! Thanks for introducing us to these fun things and for the chance to win! My daughter LOVES to color and this would be perfect. I love the paint markers, I have a few sets now because they are so easy for my kids to use and the colors are fantastic. I need to try the window markers! next on my shopping list! How fun! These supplies are sure to jazz up any art project! We are running so low on art supplies right now! Oh what fun my kiddies would have. Happy Holidays! The paint sticks look awesome! Those paint sticks would be a huge hit at my house! We love creating at home! The window markers look great. Thanks ! Being an art major who never has been able to finish her degree I try to incorporate creativity within my household… My littles would love these!! these colors look gorgeous! We’d love to try all of these! I always ask for art supplies for gifts for the kids! It is always being used, and doesnt clutter our house with more useless junk! Thanks for some new ideas things to try! We love Ooly! Thank you for this amazing giveaway! Love these art supplies. Thanks for the great giveaway! My 5 year old wants to be an artist and would absolutely love this collection!! I would love to win these! Great products! They have such wonderful products and we would love to try them! My girl would love this! She’s into markers & paint at the moment. This art set would be the most fabulous gift under the tree!!!! The scratch and scribble pads are a lot of fun for kids on the go! My son is a doodler and would love all of those colored pencils and my journal writing daughter NEEDS those scented pens 😊! Paint sticks are our new favorite medium! Fun stuff! My daughter loves art and she would flip for this! My children love to draw and paint. I’d love to have these in my middle school classroom! They should make all watercolor paint sets with a lid made for mixing colors like the one here! Great materials! Love Chunkies…great for little hands and no mess. Super vibrant colors, too. The paint sticks are amazing. We love them! We love the Ooly Chunkies! That is our default gift for classmates’ birthdays! We’d love to try out other Ooly art supplies!!! These look so fun! My 4 kiddos love creating! Being homeschooled allows for a lot time to do that. My daughters LOVE creating colorful, imaginative art. Thank you for the opportunity! Have never heard about their brand before but will definetily check their products! These supplies look amazing and so much fun!! My 6-year-old loved the Ooly watercolors I bought her for Christmas last year, so I know she’d go crazy for all of this stuff. She’s been doing a lot of writing this year, so I think the scented pens would be put to good use. The colors of these art supplies are stunning! The window markers would be a big hit in our house! I’ve been looking for window markers. These look so cool! And the pain sticks are always popular in our home. Thank you SO MUCH for including Canadian entries on this one! My little craft maven would be SO excited for this package. I just bought some Ooly brush tip markers for my boys. They’re absolutely wonderful! So much nicer than Crayola-what I normally purchase. I would love to try out their other products, I’m sure they’re just as delightful to use. So much fun! I loved scratch art when I was a kid. My daughter would love the Rainy Dayz gel crayons! Yaaaaas to the scented gel pens!! Those chunkies look great for small toddler hands! How fun! My boys would go crazy for all the rainbow colors! The paint sticks look fantastic! My kids also love scratch art kits! These art supplies look amazing. My children would love any of these products. This would be such fun. could make so many art projects. So many great supplies! I would love to try out those paint sticks! What an amazing giveaway! My twins would love these art supplies! I believe these would be a great addition to our art and craft supply. My kids are 13, 9, and 4 and I think all 3 of them would thoroughly enjoy all of these products. My kids love to paint color and create! My five year old especially is such a little artist! My dramatic little artist would love these. My daughter is really into art right now and I can never have too many art supplies for her to use! Those paint sticks look so fun and easy to use. My little artist would love this! I’ve been wanting to try paint sticks for a while now. I’ve had their paint sticks on our wishlist for a long time! Thank you for introducing me to this company! wonderful supplies are always needed! Love the paint markers – perfect for small hands! Such beautiful colors! This would be so amazing! Great art supplies! Thanks so much for the opportunity! My sons love to watercolor and draw. These look like great art supplies! We’ve gotten paint sticks before and my littles love them! My son would live these supplies! 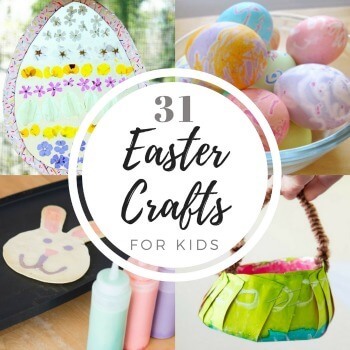 My children love creating so we are always in need of more supplies, and these look so wonderful! My daughter and I would have so much fun creating with these! What an amazing set of supplies! Oooooh, love the rainy dayz gel pens and chunkies! What beautiful artful items! Artistic fun for snowbound kids! I love your book – these would be great for applying the various skills. I <3 the sketchbook covers! So cute. Such beautiful and vibrant colors. Everything about these products help you put form and physicality, in a vibrant way, to your imagination. The rainy days gel crayons sounds like fun. I’ve never used anything like that on a window or mirror before. I just bought Ooly for stocking stuffers and now I want more! My 2 and 5 year olds love this stuff and it feels good to buy and support classrooms! These colors are beautiful & my daughter is obsessed with the yummy scented glitter pens!!! y son is really into art and this set would be very nice for him. OOLY has some great products for all ages. I want to play with these supplies, but I suppose I can share with the kids. What a gorgeous array of art supplies! My children would adore these. This looks like so much fun ! I want to try the Rainy Dayz gel crayons. I think I am more excited about the idea than my nieces would be! The colors are amazing! My daughter would definitely be inspired by these materials! We love the chunkies! Looking forward to trying other items!! Those paint sticks look amazing! What a great give-away! Such wonderful art supplies! These would provide endless ours of creative fun! This looks like a young artist’s dream collection. Wow! This is an awesome prize package! My own kids and my classroom kids would love this! Wow! This is an awesome prize package! My own kids and my classroom kids would love this! I teach art in a large elementary school! My 3 kiddos would love these! Love the bright vibrant colors! My kids and I would do so many fun projects with this! I like to experiment with different media. This would be great to win! I love gifting kids art supplies! I love this give-away! Such fabulous art tools! There is so much creativity to be had with this great prize!!! Thank you!!! What a great art kit. How fun! It would be great to win these for my 2 little budding artists! This is the ultimate prize pack. O my goodness look at how fun with all the colors. I just really really love it. These sets are so colorful. My girls would love this! I especially like the window markers, we could have a ton of fun with those! Oh my goodness! What an amazing assortment of art supplies! A true feast for the eyes and senses. I would LOVE to add all of these to our personal art room–we have huge windows, and I can’t imagine the fun my kids would have with those magical gel crayons. I’d also love to share these supplies with my preschool classroom as well as my daughter’s kindergarten classroom. Everything looks so fun! Me and the kids would have a great time with all these goodies. My kiddos really love art time and this set would be absolutely amazing! My daughter has autism, and one thing she LOVES to do is art projects. She could really use this! What a great collection of art supplies! My daughter would love it! All of these bright colors make me want to be a kid again! My kiddos would love this!